MSRP: $30.00 to $33.00 various places on the web. Copyright 1996. I paid $31.25 for my kit back then. When German Forces encountered the harsh Russian winter and superiority of Soviet tanks on the Eastern Front during WWII, they rushed to develop new equipment immediately. In addition to more powerful tanks and anti-tank weaponry, fully tracked self-propelled guns were necessary to accompany motorized troops. To fulfill this need, several prototypes were built up using existing guns and tracked chassis as interim solutions. One mounted the Type 18/2 10.5cm L/28 light howitzer on a Panzer II chassis. This gun was the standard light field howitzer used by German artillery forces at the time and the Panzer II had been already proven reliable with its cross-country ability. To mount the gun, the engine had to be relocated from the rear to the middle of the hull. The movable tank turret was replaced with a simple box-shaped steel structure. As its primary role was intended to be for infantry support, the fighting compartment was only lightly armored at the front and sides, and the top was left uncovered. The finished weapons system allowed the gun to elevate 42 degrees and traverse 34 degrees, and had a muzzle brake added to the gun to reduce recoil. It carried a crew of five with 32 rounds of 10.5cm howitzer ammunition. Officially named the "Wespe" (Wasp in German), its production began in February 1943, and although originally intended as a stopgap weapon, it remained in production until September 1944 with 676 produced. 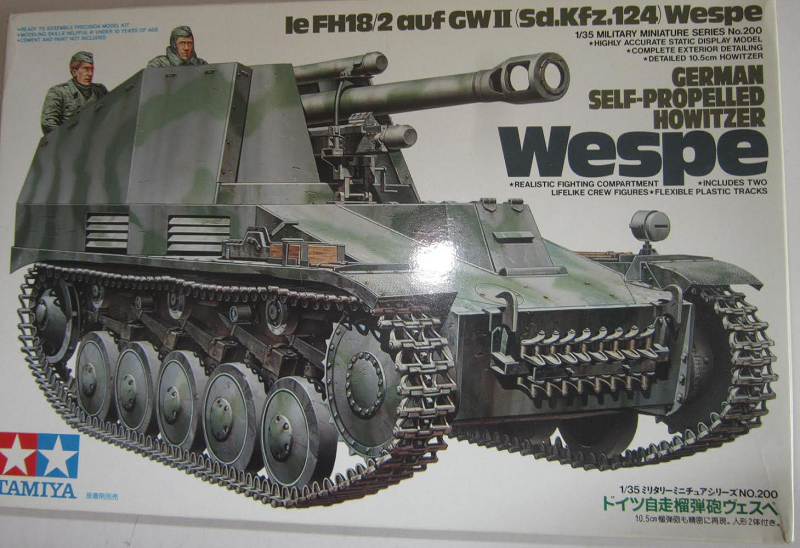 The box art shows a Wespe in a base of gray with a faded green wave pattern and no markings, against one of Tamiya's signature all-white backgrounds that they use for the majority of their box arts. Two crew members are looking out of the top. They are both wearing field-gray uniforms with cloth side caps. One has a winter coat on with a hood. 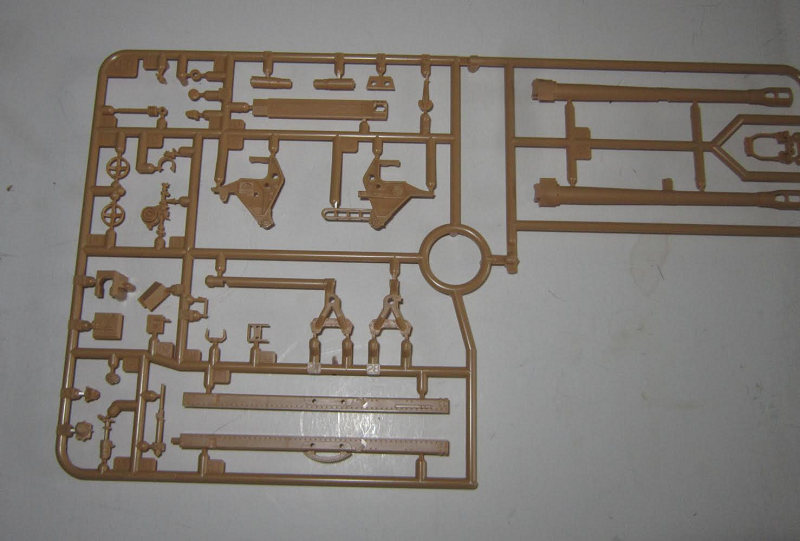 A corner of the box art says features of the kit: Highly accurate static display model. Complete exterior detailing. Detailed 10.5cm howitzer. Realistic fighting compartment. Includes 2 lifelike crew figures. 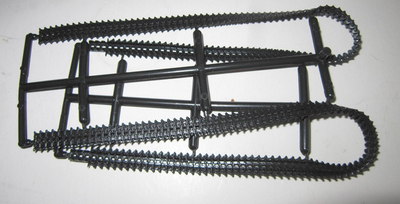 Flexable plastic tracks. One side panel has a color above-view of a Wespe in a base of sand-yellow, with a green narrow wave pattern. Followed by the history of the Wespe in Japanese only and color illustrations of the 2 crewmen. Copyright date is 1996 and Tamiya's street address in Shizuoka City, Japan is shown. ​The other side panel has a 3-view of the Wespe shown on the other side panel. It is one on the Eastern Front, winter 1943. No marks are shown on it. This is followed by another paragraph in Japanese and Tamiya's address again. 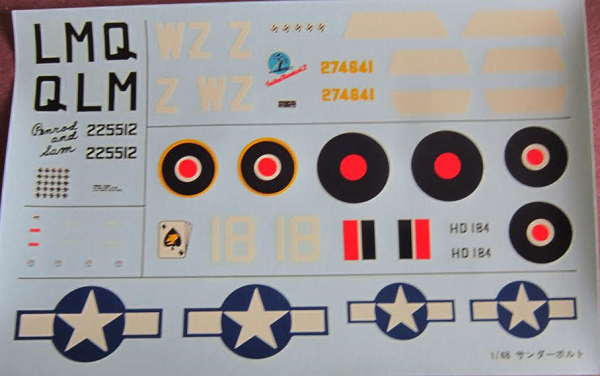 The kit holds 5 light-tan parts trees in 3 stapled-shut clear cello bags, a loose light-tan hull tub, black vinyl treads, black poly caps, the decal sheet and instructions. The instructions consist of a single-sheet that accordion-folds out into 10 pages in 6 3/4" x 10 1/4" page formation. Page 1 begins with a black and white photo of the model made up over the history of the Wespe in English, German, French and Japanese. Page 2 begins with READ BEFORE ASSEMBLY instructions, CAUTIONS and a suggested paint color listing in the 4 languages over the first 2 assembly steps. Page 3 through 8 give a total of 15 assembly steps. 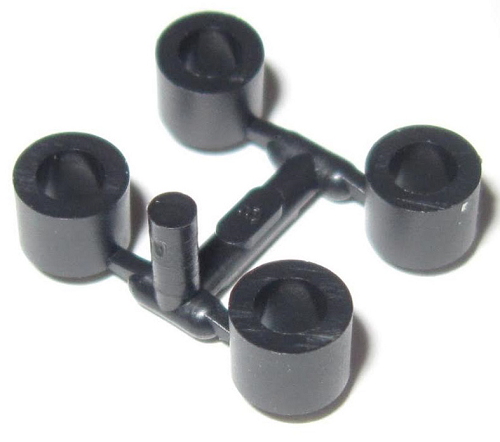 Step 15 is for the assembly of the 2 crew figures. The bottom of page 8 has the painting instructions. Page 9 has two 4-views of painting and marking schemes for the Wespe. 1. The box art scheme (already described above). It is of an unknown unit, Paris, France 1943. 2. A Wespe in a wave pattern of earth-yellow and dark green, with a white outlined no. 43 on the sides with a skeletal German cross. It is with the "Gross Deutschland", Wehrmacht, July 1943, Operation "Citadel". The top of page 10 has another 4-view. It is in a wave pattern of sand-yellow and dark-green with a white letter D on the front with a black vertical bar with no. 10800. Trees are alphabetized, but not illustrated in the instructions. The have part number tabs next to the parts on them. ​The light-tan hull bottom is next, along with black vinyl treads (2 lengths) and 4 black poly caps.